This beautiful 3/4" disc can say whatever you'd like. Features "mother of the bride" and wedding date. 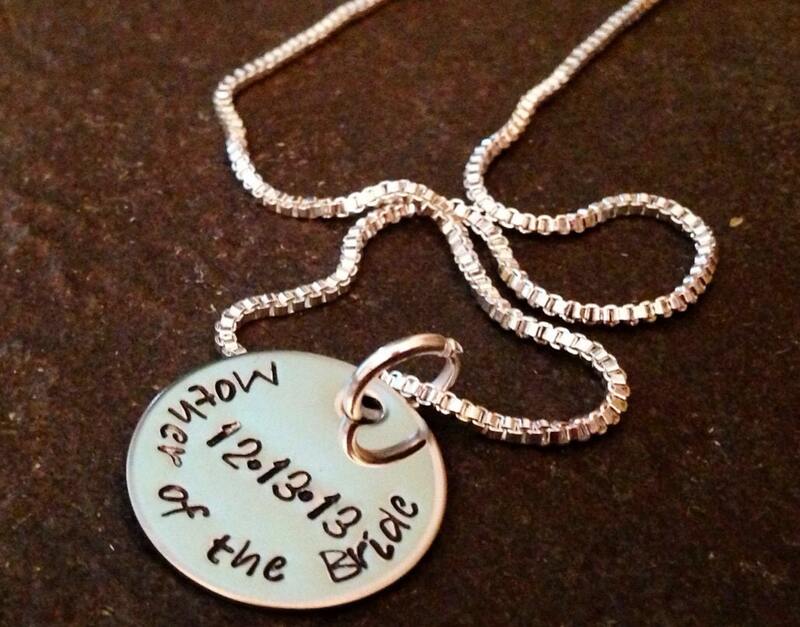 Please feel free to personalize this for whomever is in your bridal party. Please use the drop down menu provided to select your chain choice (the standard 24"'ball chain or the upgraded box chain--shown on the box chain). You also have the option to add additional name/monogrammed charms, birthstone crystals, gift boxes, etc. please see the links below for all of the add on options.